Call 402-493-7111 to schedule an appointment! Welcome to Overlook Plaza Dentistry! We are honored that you have placed your trust in us to provide dental care for you and your family. We are committed to providing patients of all ages with comprehensive dental care. From routine check-ups to complex cosmetic dental procedures, we are prepared to meet your every need. Conveniently located in Overlook Plaza off Fort Street and 144th in Omaha, we offer flexible hours to make your visits quick and hassle-free. 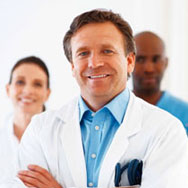 We utilize state-of-the-art technology to assist us in achieving optimum results for our patients. Dr. Sterling J. Foy, DDS and his highly trained staff are committed to continuing education to keep abreast of the latest techniques and procedures, and believe that every patient deserves exceptional and affordable dental care. We use an effective combination of cutting-edge technology and time-proven methods to keep your smile healthy and beautiful. We invite you to come and experience excellence in dentistry with a personalized, hometown touch. We look forward to seeing you soon. Call 402-493-7111 or email frontdesk@opdentistry.com to schedule an appointment! Dr. Foy was born and raised in Ponca City, Oklahoma and graduated from Ponca City High School in 2000. His passion for dentistry began at a young age while taking the Dentistry merit badge as a young Boy Scout. He also received constant exposure to the field from his best friend’s mother, who happened to be a dental hygienist! "Visiting Overlook Plaza Dentistry gives my family and me more reasons to smile."